The Value of Tire Rotation | Car News, Reviews, & Pricing for New & Used Cars. When tire rotation is performed regularly, their lifespans can be extended by up to 20 percent. Not only will this save you money on replacement tires but rotating your tires also cuts down on your gas money. 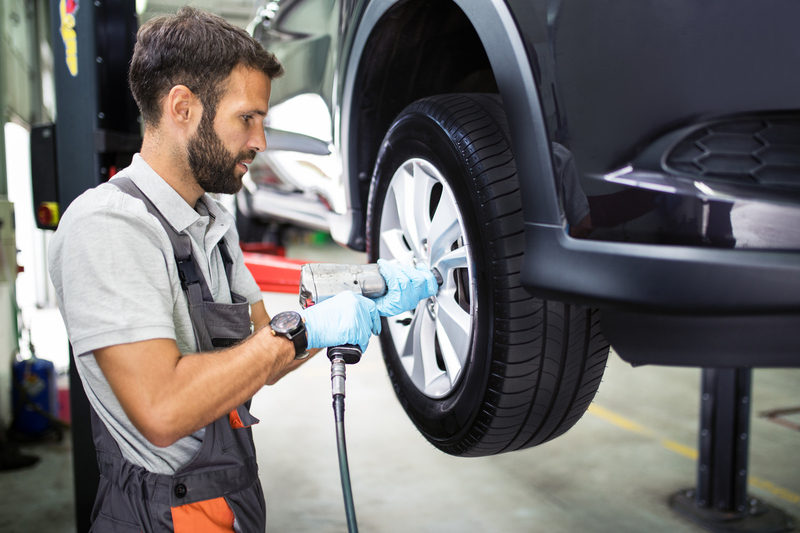 For uniform tire wear, it is suggested that a vehicle’s tires are rotated every 6,000 miles as part of your vehicle’s preventative maintenance schedule. There are many factors that can cause wear to tires. Weight distribution is one of the biggest factors. On front-wheel drive cars, the stress of steering, braking and the weight from the engine and axle can quickly cause deterioration. Incorrect tire pressure and uneven alignment are also major factors. If your front tires gain more wear than your back tires, it may cause some safety concerns for the control of your vehicle. Bringing your car to our certified technicians regularly can ensure your tires are rotated properly and keep you safely on the road. Rotating your tires will also do many things for your overall driving experience. If you can control the distribution of weight among your tires, they will wear evenly and offer a smoother ride. This will allow you the best possible gas mileage as your tires get older. A simple tire rotation will also make your vehicle brake more evenly which will give you a shorter stopping distance. Some car owners who neglect regular tire rotations will find themselves purchasing two front tires when the wear becomes too much and, shortly after, buying two rear tires when needed. If they wear evenly, you can scoop up all four tires at one time and save yourself the hassle and cost of purchasing them separately. If you notice uneven wear in your tires, our ASE-certified technicians will be happy to take a look and rotate them for you. Give us a call at 334-294-2137 if you have any questions about your tires or any other vehicle component!